Our clinical rehabilitation program has been designed to suit all different skill levels, injuries and stages of life. 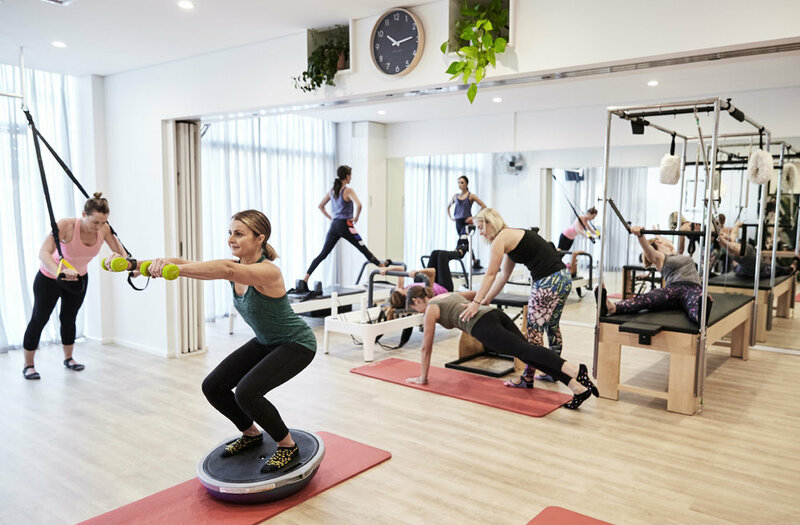 We have 10 different class styles, and over 35 classes per week so whether you are pregnant, postnatal, postmenopausal, are a cancer fighter or are simply just looking to improve your posture, core and wellbeing we have a class for you. All of our classes have been designed by our physiotherapists and aim to strengthen the deep abdominals and pelvic floor, improve postural awareness, and improve spinal stability. The great news is that because our clinical rehab program is Physiotherapy lead with evidence supporting its positive outcomes, all of our weekday classes are claimable on health insurance under your “ Physiotherapy” allowance. Check with your health funds directly for further information. It is important to have an assessment with one of our Physiotherapists prior to your first class so that we know of any issues and ensure the classes are appropriate. In this appointment, we will also do a Real Time Ultrasound assessment to teach the correct activation of the pelvic floor and deep abdominal muscles. A 1:1 session with a Physiotherapist to help rehabilitate injuries, target specific goals and build confidence in preparation for classes. This will utilise the full reformer, trapeze table, chair and other apparatus. PRE ATTENDANCE REQUIREMENTS: Initial 45 min assessment for history, core activation assessment with ultrasound and program goals. Will commence Pilates exercise in the initial session. Semi private clinical equipment class using the reformer, trapeze table, wonder chair and small apparatus to rehabilitate injuries or work at an advanced level to target specific core and mobility goals. PRE ATTENDANCE REQUIREMENTS: Will require between 2-3 1:1 sessions prior to joining to assess, teach correct core activation with RTUS and plan program based on individual client goals. A 1:1 review with your Instructor every 6-8 weeks is highly encouraged to progress program as you improve. An intermediate level group circuit style class using the equipment, TRX straps, and small apparatus. Designed to build deep core, overall strength and fitness whilst ensuring safety of the pelvic floor. PRE ATTENDANCE REQUIREMENTS: 1:1 15 min assessment with ultrasound or previous attendance at clinical equipment class. In some cases, attendance at clinical will be advised based on injuries and goals. A mat style class for women from 6 post birth focused on abdominal and pelvic floor rehabilitation, glute and postural strength. PRE ATTENDANCE REQUIREMENTS: 15 min post birth screen and assessment with ultrasound if not seeing a WIF Physiotherapist. A faster paced circuit style class for women 6 weeks post birth to work on deep core, pelvic floor, posture, strength and fitness. This class uses the Reformer, trapeze table, TRX straps and other apparatus. A mat style pregnancy class using balls, bands and small weights to improve Pelvic floor awareness, deep core activation, posture and help prevent pelvic girdle pain by maintaining glute strength. A great class for women who have never done a class before and want to improve fitness for labour and beyond. PRE ATTENDANCE REQUIREMENTS: 15 min pregnancy screen and ultrasound assessment if not seeing a WIF Physiotherapist. A circuit style class for pregnant women to build and maintain strength, mobility and fitness safely through the pregnancy. This class utilises the reformer, trapeze table, TRX straps and other apparatus. PRE ATTENDANCE REQUIREMENTS: 15 min pregnancy assessment and ultrasound if not seeing a WIF Physiotherapist. A circuit style class for women over 60 to target bone health, balance, muscle strength, posture, core and pelvic floor strength. This class utilises various physio equipment to challenge the body and mind. PRE ATTENDANCE REQUIREMENTS: 30 min assessment to take history to understand injuries, goals, health status and into the class. If previously attending WIF classes then no assessment required. A mat style class designed to release tension, mobilise fascia, connect with the breath and open through the pelvis and rib cage. It has been designed for women experiencing pelvic pain, bladder urgency, tightness, chronic pain or emotional stress. It combines restorative poses, roller release, deep muscle connection and guided relaxation. A gentle weights based program for women whilst undertaking or having completed cancer treatment. 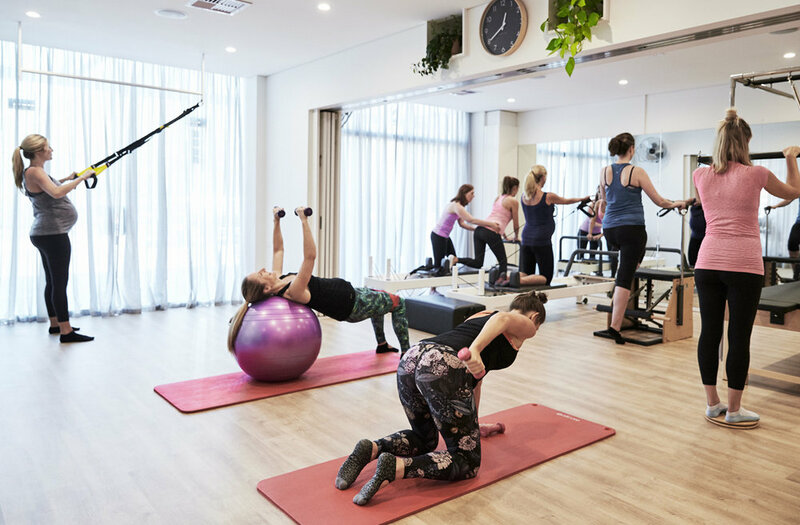 Class is based on strength ABC research to show it reduced rates of Lymphoedema, nausea and survival rates and is guided by our cancer specialised Physiotherapist. PRE ATTENDANCE REQUIREMENTS: A 1:1 30 min assessment with our cancer specialised Physiotherapist.